Click Here to Read the December 2018 Issue or download the articles. Striving to make an impact in the waste and recycling industry, WISR was created with the vision to ensure that women have the tools and support they need to be successful leaders and diversify decision-makers. Click Here to Read the November 2018 Issue or download the articles. Click Here to Read the October 2018 Issue or download the articles. 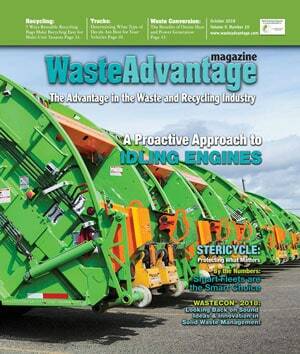 We are living in uncertain times and there are tough decisions ahead for solid waste agencies. 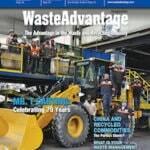 This article summarizes current market conditions for recyclables in the U.S.in the era of the post-Chinese import ban, which went into effect on January 1, 2018, and suggests some short- and long-term solutions. Click Here to Read the September 2018 Issue or download the articles. Currently working on a long-term zero waste plan for Nashville and Davidson County, the Public Works Department works together to be proactive and look at ways that they can significantly reduce the waste being generated. Click Here to Read the August 2018 Issue or download the articles. Continuing to seek partners in their mission of reducing, reusing and recycling and sustainable materials management, the Tennessee Recycling Coalition tries to stress the importance of recycling while providing resources, education and outreach. Click Here to Read the July 2018 Issue or download the articles. Continuing to grow at a steady pace and focused on building a stronger company, Gainsborough Waste prides itself on giving back to the community while keeping up with operations effectively and efficiently, and training employees in advance of anticipated growth. Click Here to Read the June 2018 Issue or download the articles. 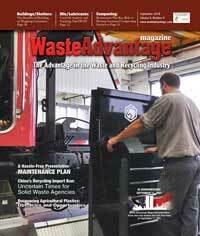 Located in central Wisconsin, the Marathon County Solid Waste Department has a mission of providing the residents, businesses and organizations of the region with a cost-effective, comprehensive and integrated waste management system. Click Here to Read the May 2018 Issue or download the articles. From humble beginnings to the largest independent recycling and solid waste services company in Los Angeles County, Athens Services has introduced near-zero emissions vehicles to its fleet, continued to use innovative technology to process mixed waste and to enhance recyclability and has been at the forefront of the organics movement, while also celebrating the many people that have given their entire career to work with the organization. Click Here to Read the April 2018 Issue or download the articles. Click Here to Read the February 2018 Issue or download the articles. Click Here to Read the January 2018 Issue or download the articles.